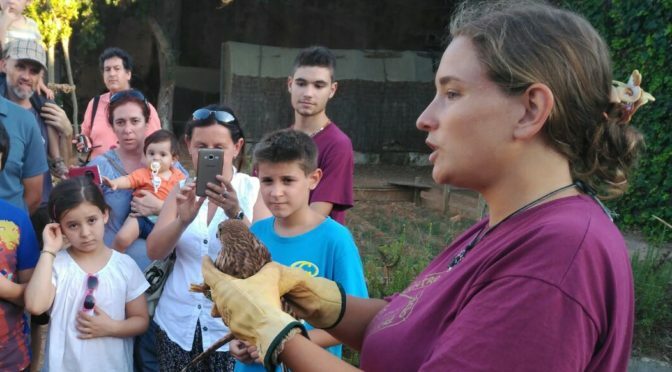 Led by her strong passion for environmental protection, Vittoria joined the EVS project “Environmental Volunteer on the Island of Minorca” with GOB Menorca in October 2016. Originally from Ischia, a small island in the South of Italy, she felt in love soon with the new island and with the EVS project having the opportunity to develop new skills and to deepen her knowledge on environmental education. During one year of EVS (October 2016 – October 2017), Vittoria participated with energy and enthusiasm in several activities carried out by GOB while promoting EVS throughout the island (e.g. assistance to the two-days festival “Banc d’Oportunitats”, attended by 860 teenagers). 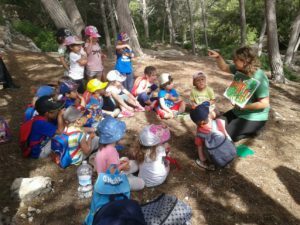 She was actively involved with the Environmental Education Service, taking part in school activities such as excursions, storytelling and workshops aimed to connect young audiences with environmental issues. Moreover, she was in charge of co-ordinating the group of local volunteers managing interviews and keeping the database update. Once a week she assisted at the Wild Animal Rescue Centre where she carried out the main activities for animal care such as feeding, cleaning and nursing as well as installation maintenance. Moreover, she was responsible for co-ordinating the tasks of the volunteers organizing family activities at the Rescue Centre during the summer. During the breeding season, she took an active role in the campaign promoted by GOB for the adoption of orphaned chicks. Vittoria assisted in the GOB shop, providing information to the visitors and selling books and material regarding Menorcan flora and fauna as well as organic local food. Besides the Rescue Centre and the Environmental Education Service, during the winter Vittoria also assisted in the Garden Centre “Es Viver”, a green space created by GOB based principally on sustainable gardening, encouraging the use of indigenous plants which require little maintenance and low water consumption. She was involved in different tasks such as installation maintenance, soil recycling processes, transplanting techniques and the care of autochthonous and organic certified plants.